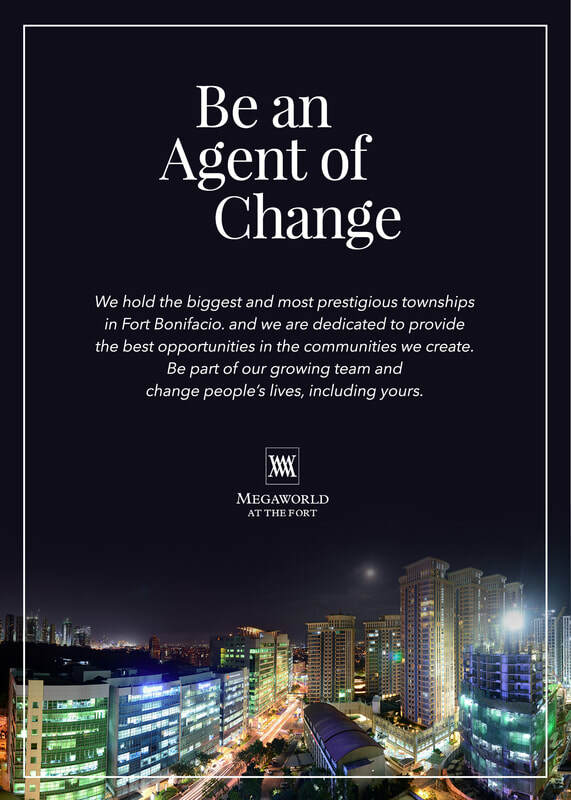 JOIN MEGAWORLD AT THE FORT TODAY! URGENT HIRING: Opening for Property Specialist (Sales) position. We are selling luxury properties in Fort Bonifacio Uptown BGC, Mckinley Hill, and Mckinley West. Build a successful sales career with the country's number one township developer. Have the opportunity to earn as if it's your own business! - and many more incentives and perks! - Responsible for promoting and marketing the Real Estate projects of Megaworld Corporation in the Fort Bonifacio area. - To represent the company and maintain good relations with the clients and investors. - Participate in regular trainings and seminars.